Published March 31, 2016 at 1000 × 750 in Composed Shapes. 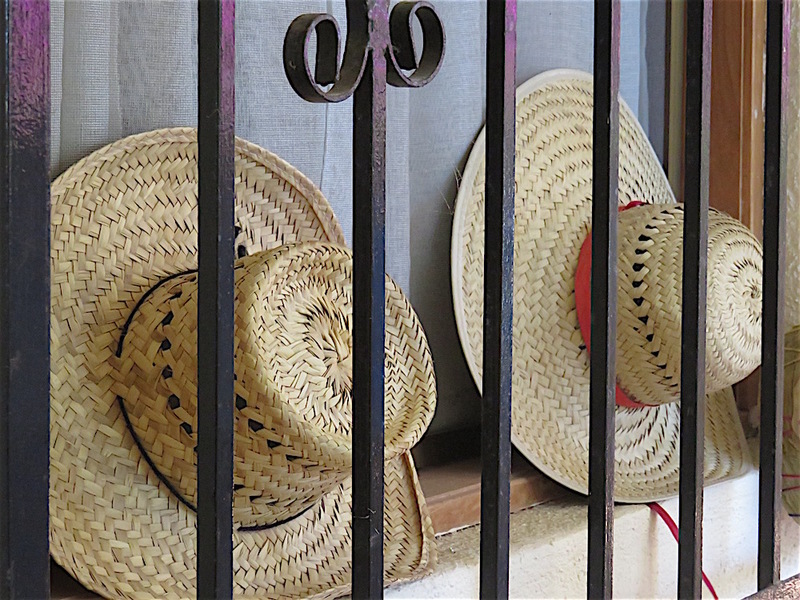 These straw hats stored on-edge behind the grillwork of Carol’s house are one of my favorite images. The round shapes of the hats and curliques, the rectangular divisions on the grilll and the zigzag/triangular weave of the hats create busy detail in what is otherwise a simple scene.